: : The one stop solution for writing notes against any files on disks, CDROMs, removable media, over networks and even within compressed ZIP files! No Learning- You can use FNO3 instead of Windows Explorer as your means to manage all your files. No reading of manuals or training is needed to be instantly productive. 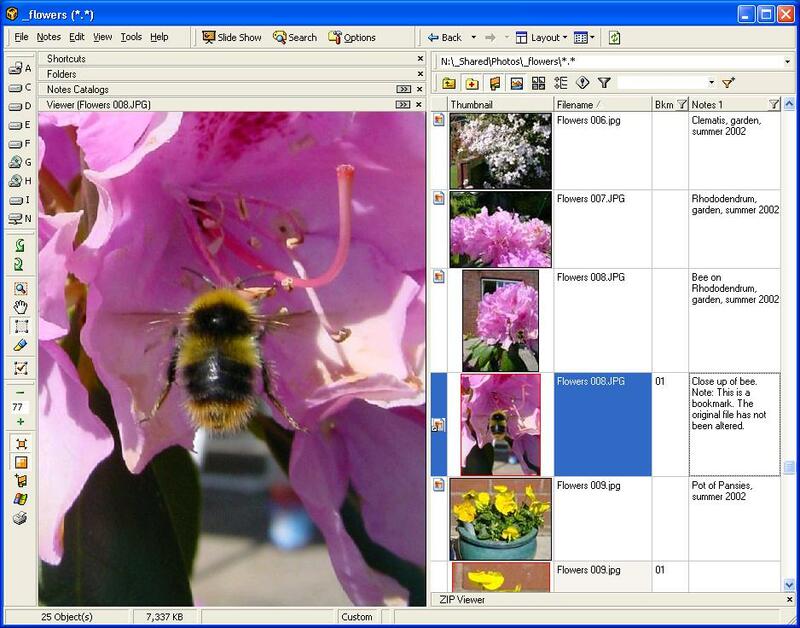 Integrated Viewer- Support for all popular graphics formats including Scansoft's Paperport MAX format and Multi-Page TIFF files. Embedded support for Word, Wordperfect, and PDF is now available. Slide Show- With a few clicks you can download images from your digital camera and run a slide show. Workgroup Notes- By using bookmark notes each member of a workgroup can add their own notes for a document or even a page within a document. You cannot get a simpler solution for document management. Virtual Folders- Drag a set of folders (or files) into a collection and browse the contents just as if they were all within one virtual folder. Crops and Highlights- Crop an image and draw yellow highlights on it. A bookmark can then reproduce your edits when you next view it. And its is all done without changing the actual file or creating any new files. Automatic Prompts- When you save a new file or download from the internet you can be automatically prompted for a note by a small popup window. Also, notes are automatically maintained when any application does a file copy, move, delete or rename. Unlimited Notes- Any combination of textual, numerical and date/time notes can be used, and customized for every folder. Travel Everywhere- Notes can easily travel with your laptop and synchronize back in the office. Now with full text searching and filtering, folder thumbnailing and speed improvements throughout.